New systems require new tools. But how can you determine the level of collision repair technology you need - before you invest in the necessary technology? Every industry needs to prepare for its next generation of employees, which, ideally, continually flows in. The collision repair industry currently faces an aging population in several ways. Not only are long-term employees retiring faster than young ones are being hired, but the technological advances on newer vehicles become standard so rapidly that current techs are struggling to stay on top of them. As the development and unveiling of high-tech vehicles continues to take center stage across the automotive industry, collision repair diagnostic procedures are quickly becoming the focus as well. Collision repair professionals need to keep up the pace that vehicle makers are setting and must look for the best tools to meet their needs. Questions are raised such as when, where and how to repair these systems, all while trying to determine which scan tool is the best for their repair facility’s needs. What technicians should be aware of is what’s required to keep advanced driver assistance systems (ADAS) running safely following a collision and the repair process – whether that is aiming a camera or sensor, which can cause a system to not function as intended, or checking, troubleshooting and clearing diagnostic trouble codes (DTCs). Pre-Scan/Health Scan (Capturing Codes): A step in the damage analysis/blueprinting process used to identify errors, faults and/or damage related, or unrelated, to the collision. Pre-scanning is also done to capture all DTCs. For advanced vehicle systems, however, pre-scan is not possible if the 12-volt electrical system and vehicle communication networks are disabled or cannot be maintained throughout the scan. If a pre-scan is not possible because of vehicle damage, it should be done as soon as the repair’s progress allows it to be done safely. Post-Scan (Identifying/Clearing Codes): A post-repair, quality-control process used to ensure all vehicle system DTCs, related and unrelated to the collision and those set during the repair, have been identified and cleared. A test drive may be required prior to clearing some codes; other codes may only appear after certain driving distances, key cycles or other repair criteria are reached. Post-Repair Calibration/Initialization (PRC/I): A required step following the removal, installation and/or repair of many safety and driver-convenience system parts. Post-repair calibration and initialization may also be required if there is damage or trauma to the mounting location(s) and R&I or R&R recommendations for the following areas: cameras, sensors, mounting locations, parts in front of/behind cameras and/or sensors or closure/trim panels. Access to OEM information is mandatory to determine if post-repair calibration is required. A scan tool that has been confirmed by the tool’s provider to have the required initialization/calibration capabilities for the vehicle and model year involved, special tools and/or a test drive following vehicle-maker established parameters might also be required. With sensors or cameras on all sides of many of today’s modern vehicles, calibrations and aiming procedures will often be required in the event of a collision. Calibrations and aiming procedures vary by OEM, but they can require the use of special alignment tools or aiming targets. Most vehicles will require the use of a scan tool to perform calibration or aiming procedures. Also, calibrations and aiming procedures may be static (in-shop), dynamic (on-road) or require both. Being informed on those ADAS systems is important to complete, safe and quality repairs. Many consumers are purchasing a certain vehicle specifically for these driver assistance features and reliability. Therefore, technicians need to be aware which systems exist and have the knowledge to properly repair them. Do you want to be able to read and clear codes, while subletting other repairs? 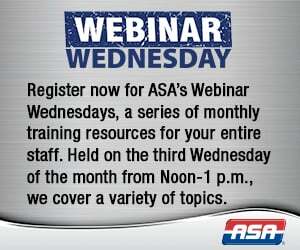 Do you want to be equipped to handle basic diagnostic work? Do you want to incorporate advanced diagnostics such as engine performance, drivability and emissions work into your operation? Do you want to perform post-repair aiming and calibration procedures? These may seem like simple questions, but it’s important to take into account the needs you will have if you lean toward one version of diagnostics as opposed to another. For example, a technician who focuses on post-repair calibration is going to have different needs than a technician performing in-depth diagnostics on drivability and emissions. Determining how deep you want to dive into diagnostics will be extremely helpful in identifying the tool, or tools, that will best fit your shop’s needs. 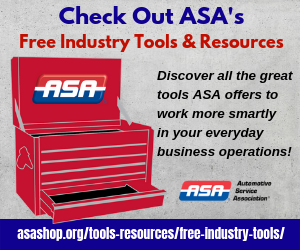 After you make the decision on which tools will be beneficial to your shop and where the repairs on newer vehicles will take place, the question shifts from how your shop will be making these repairs to whom will be making them. Identify which of your technicians are comfortable handling electrical repairs and whether or not they have previous experience working with different scan tools. You may have to look outside of your current staff to find the ideal candidate for these types of repairs. One strategy may be to look into existing, or recently graduated, service technicians. If technicians are interested in learning more about collision repair diagnostics, I-CAR’s Vehicle and Technology Specific Training offers courses designed to keep technicians aware of OEM-specific changes and repairability trends in the industry, as well as offer an introduction to scan tools. I-CAR also recently launched electrical and diagnostics courses relevant to this new need. Get more information on the I-CAR Repairability Technical Support (RTS) Portal at rts.i-car.com. You’ll find a number articles related to common calibration requirements, as well as the OEM Calibration Requirements Search tool, a one-of-a-kind tool designed to identify calibration requirements by OEM make and model, for many of today’s ADAS cameras and sensors. Investing in these tools, equipment and training now will prepare you for the increase in vehicles equipped with ADAS technologies in the near future.